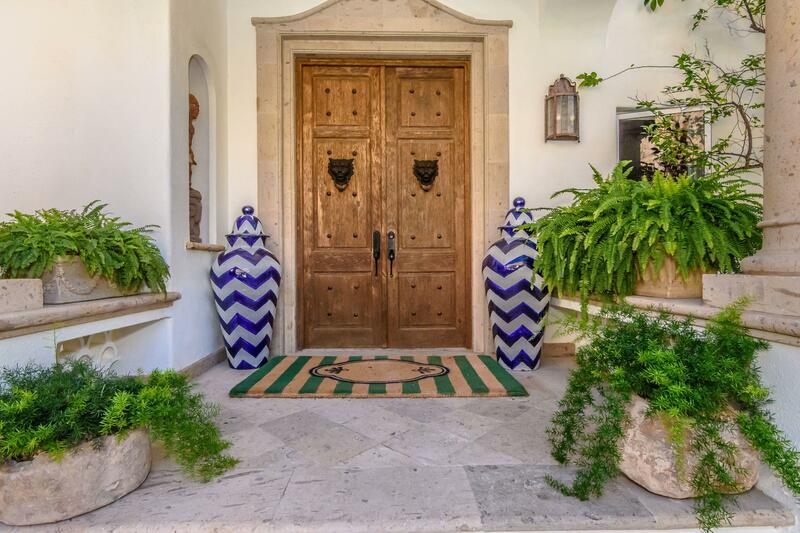 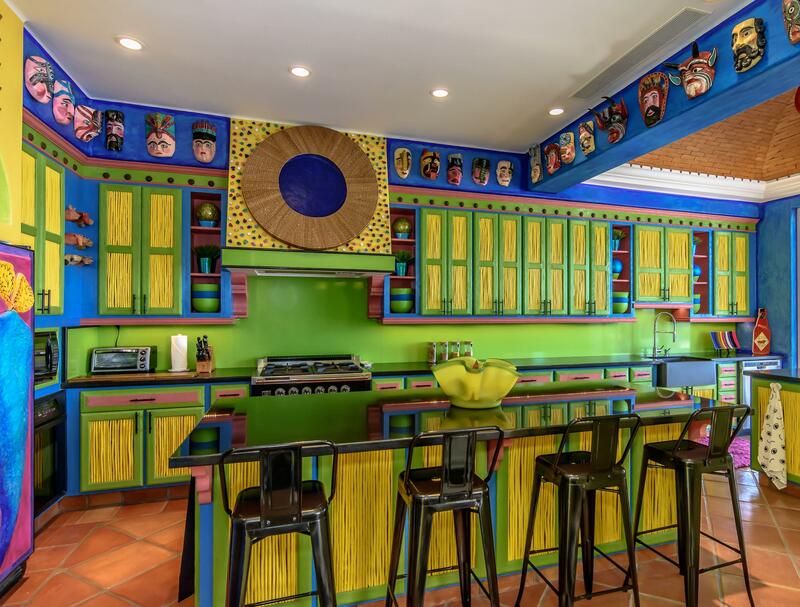 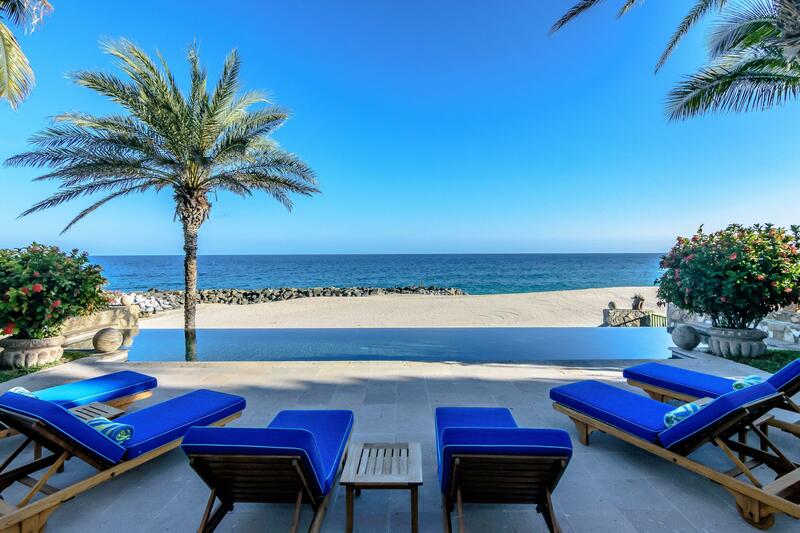 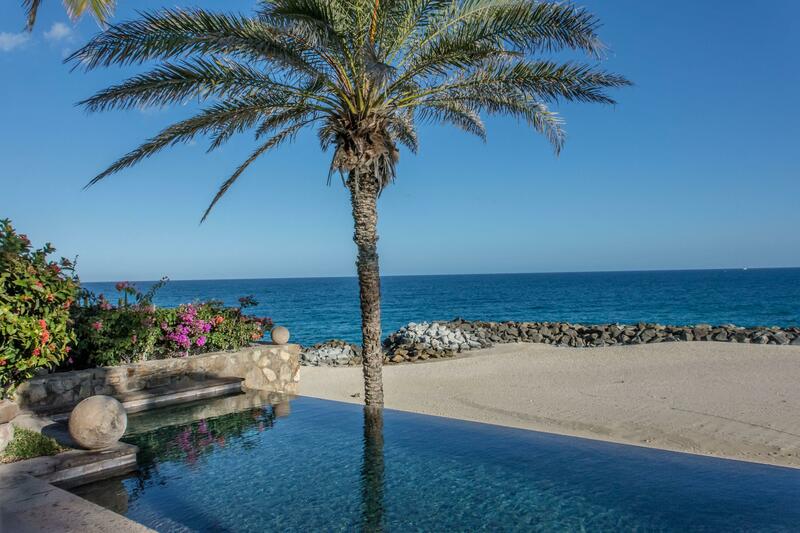 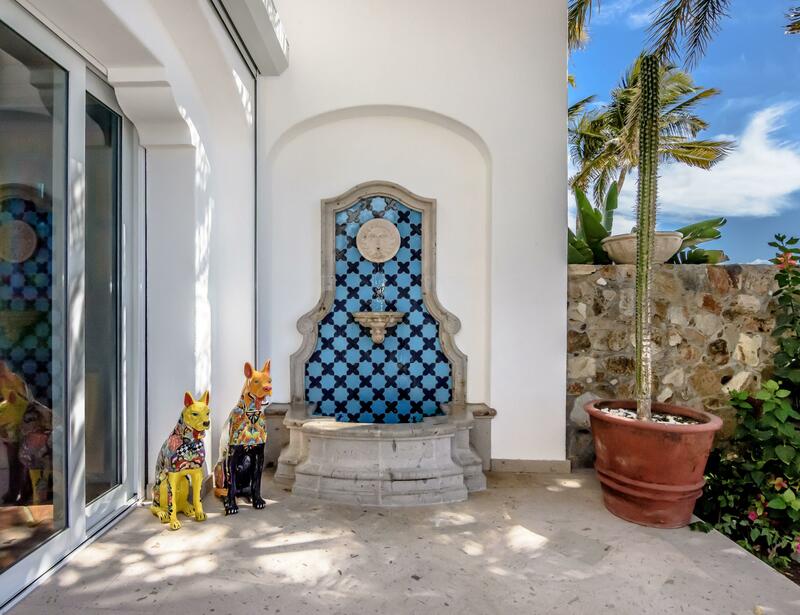 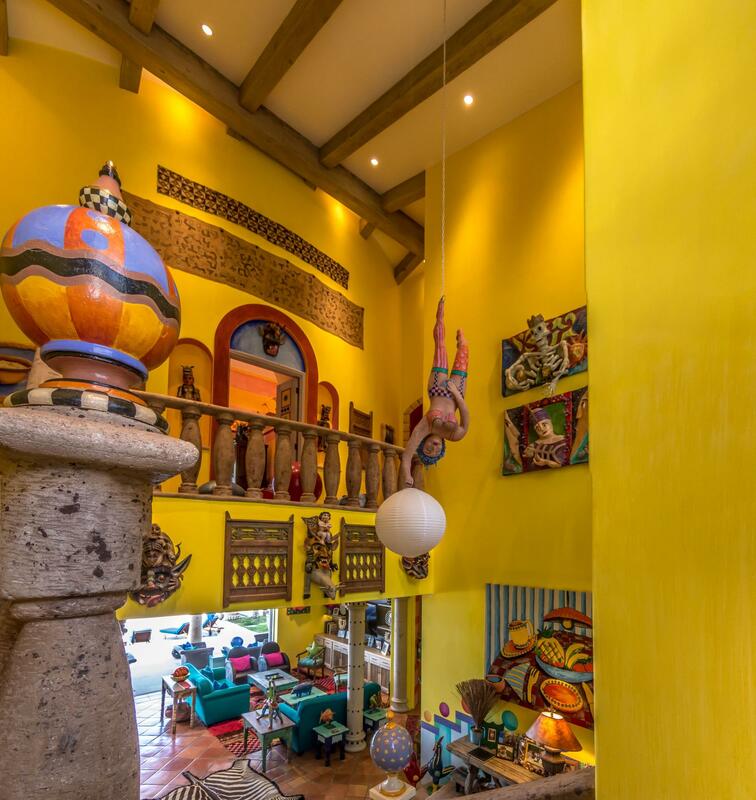 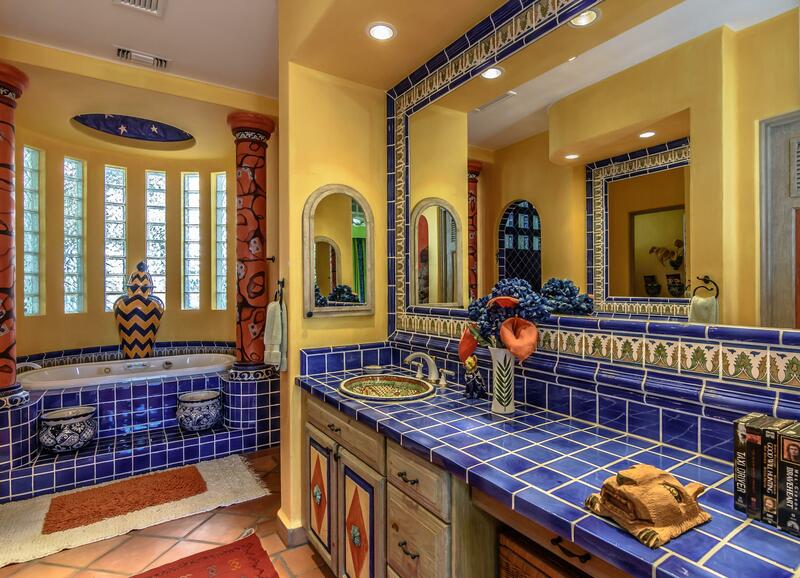 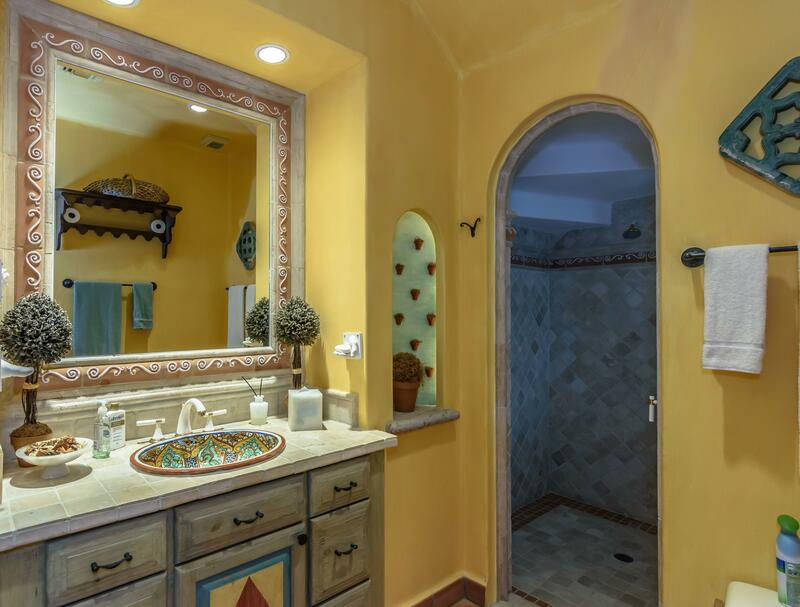 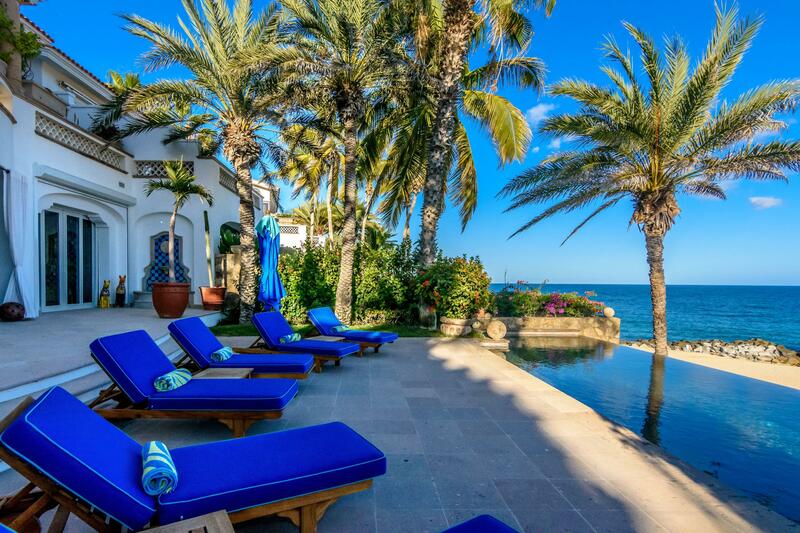 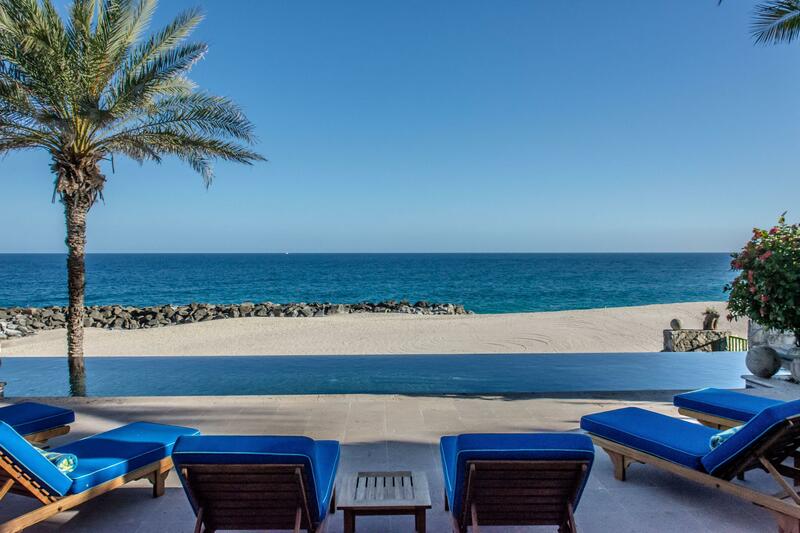 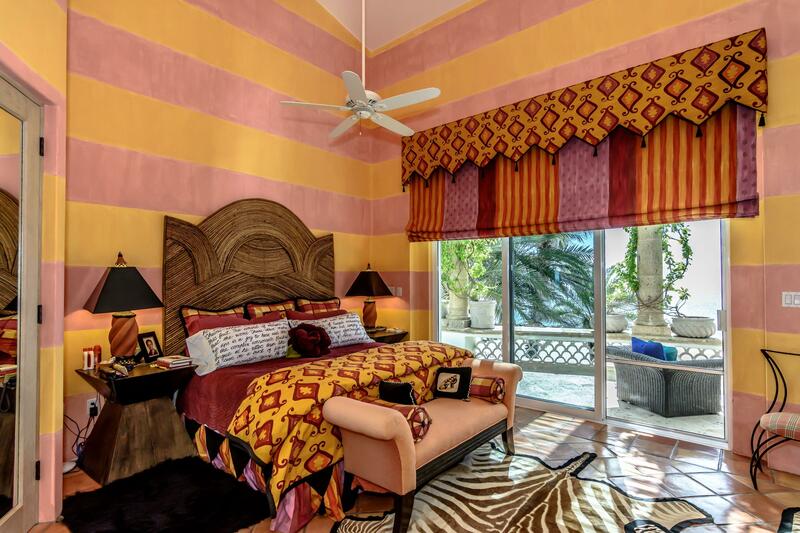 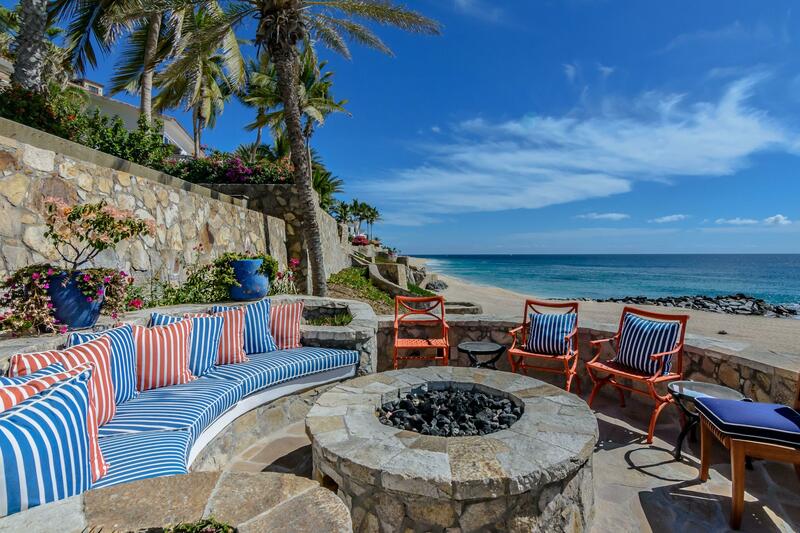 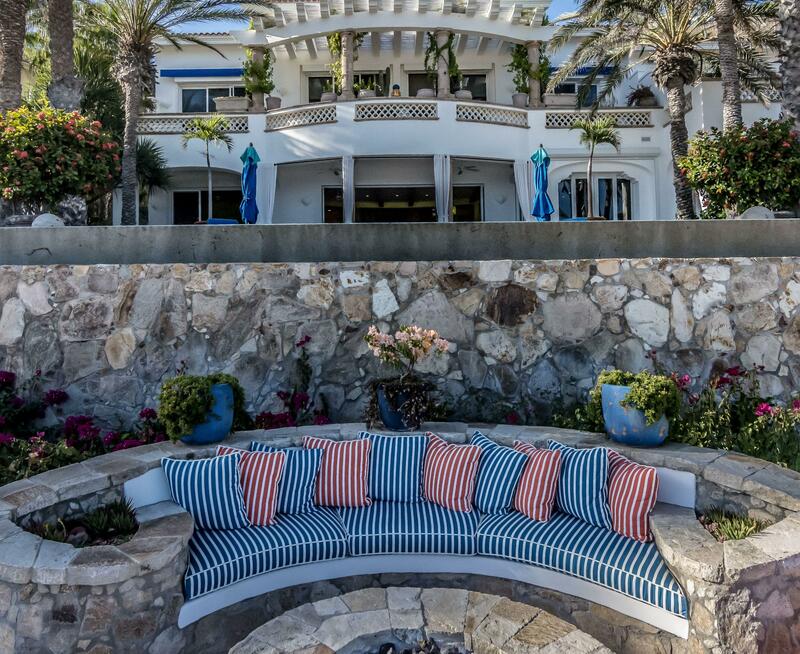 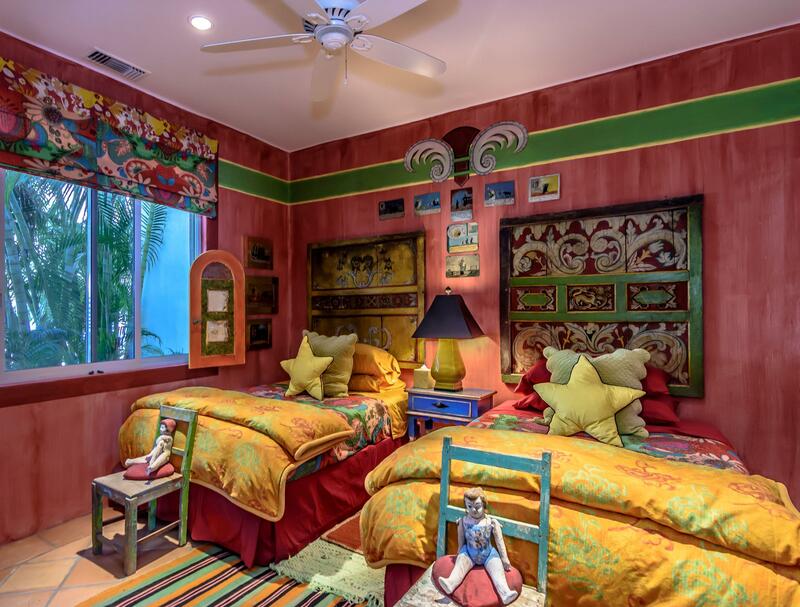 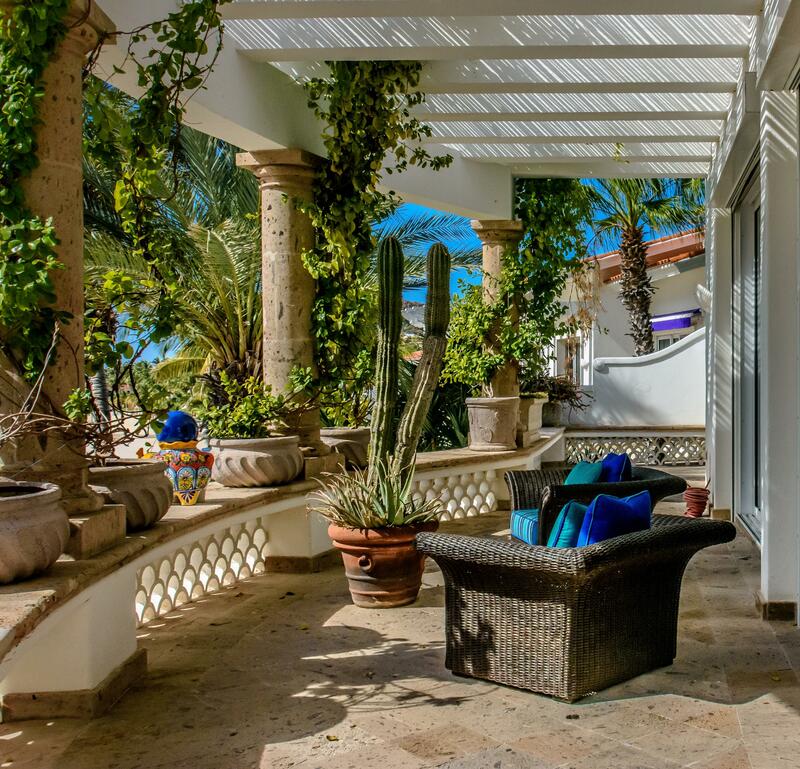 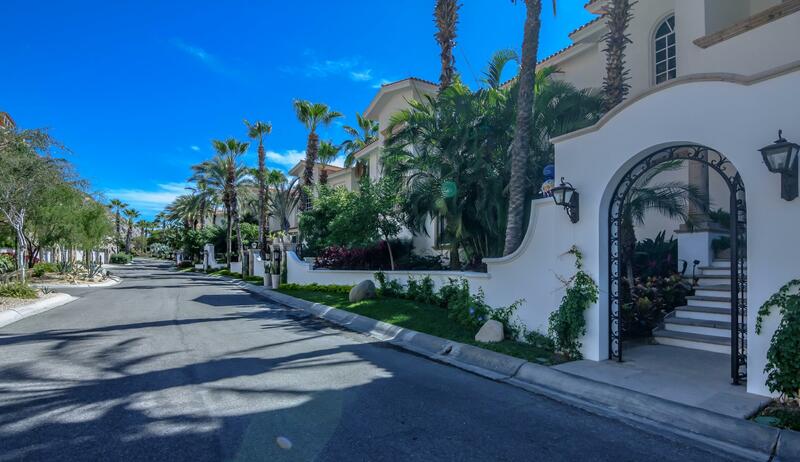 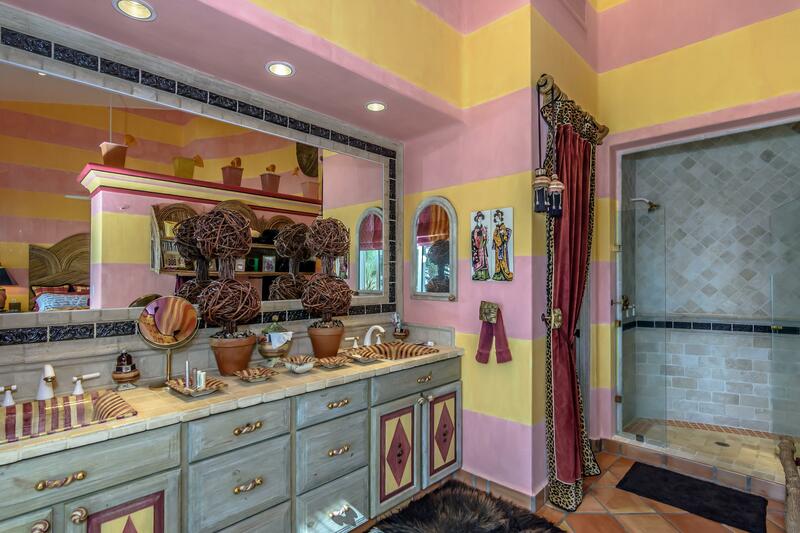 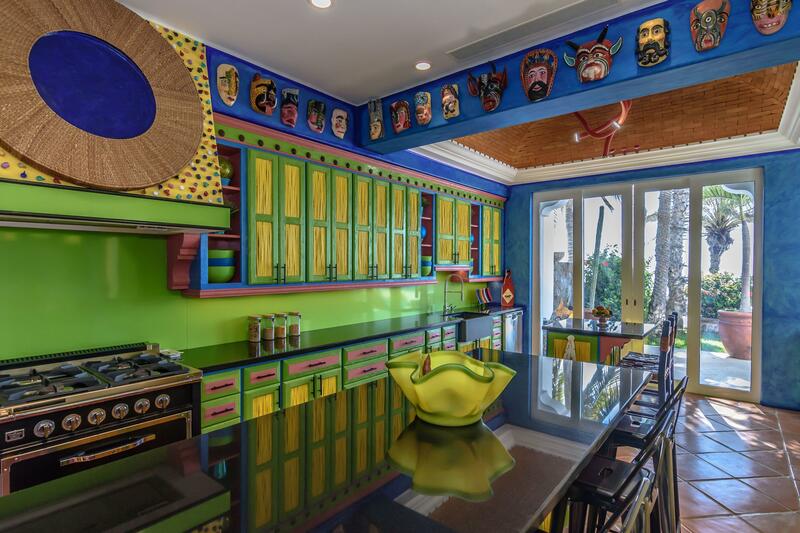 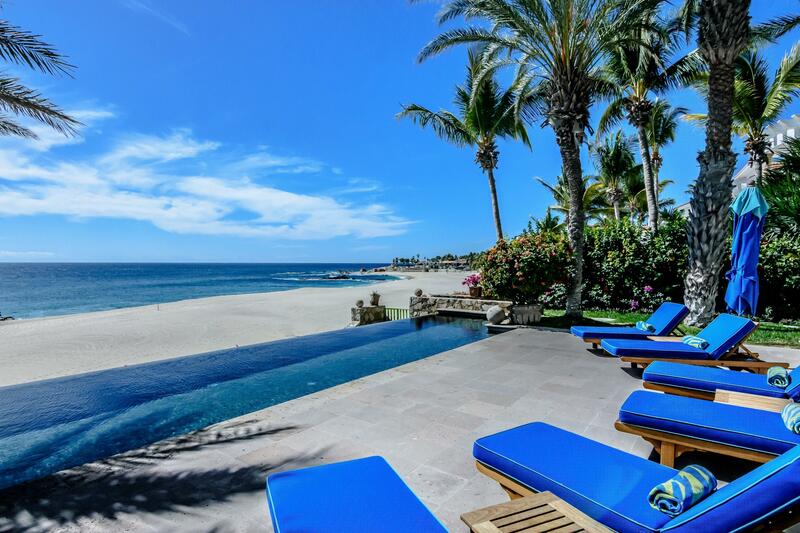 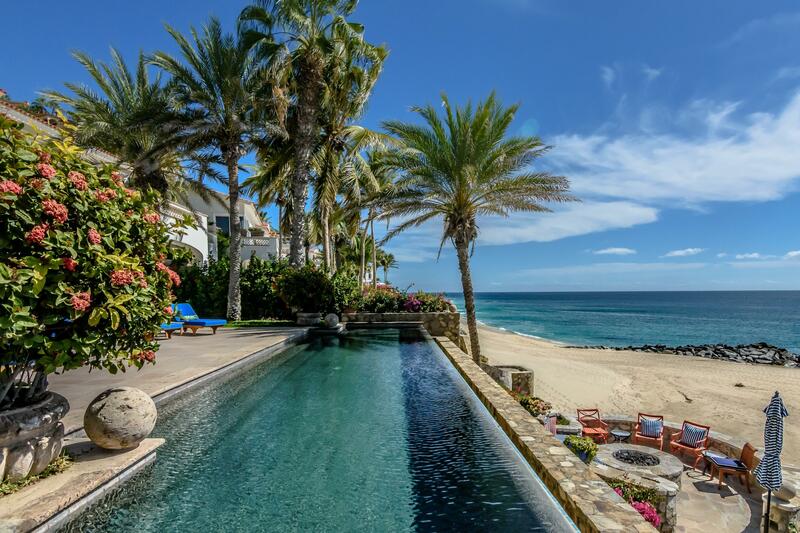 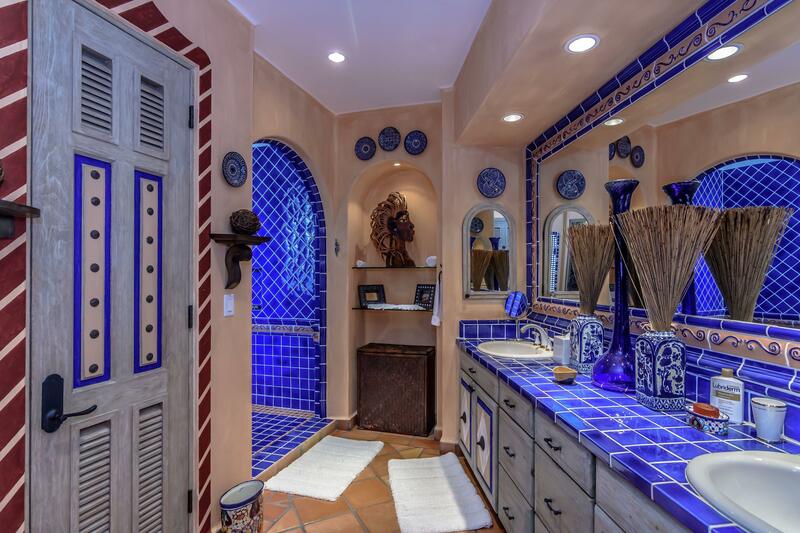 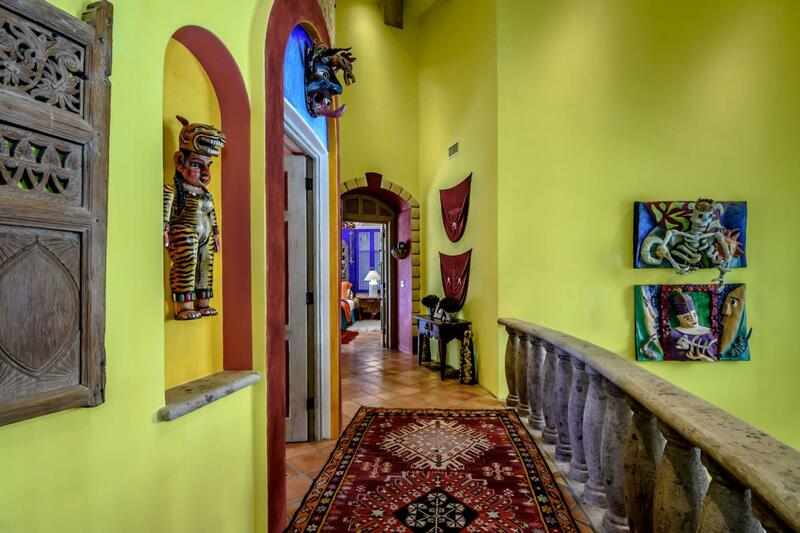 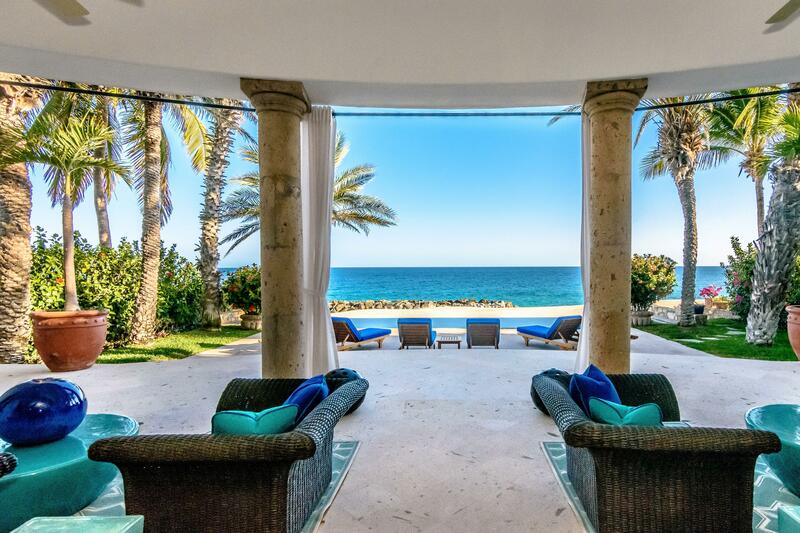 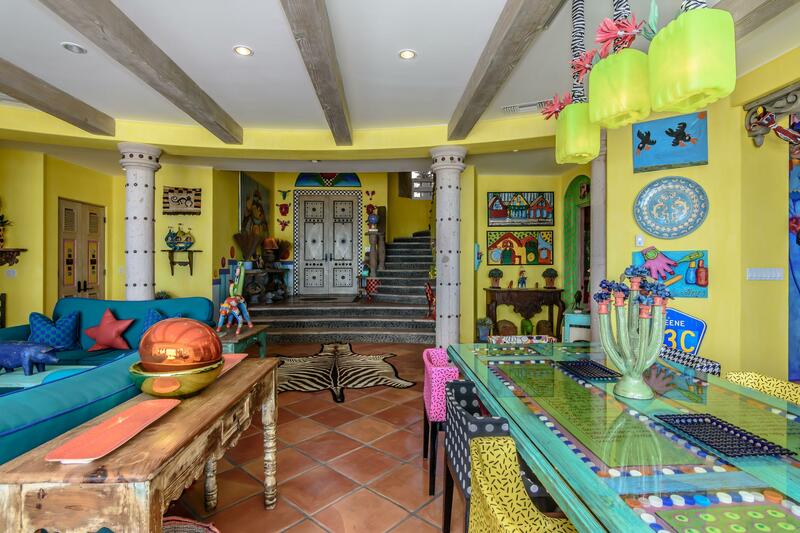 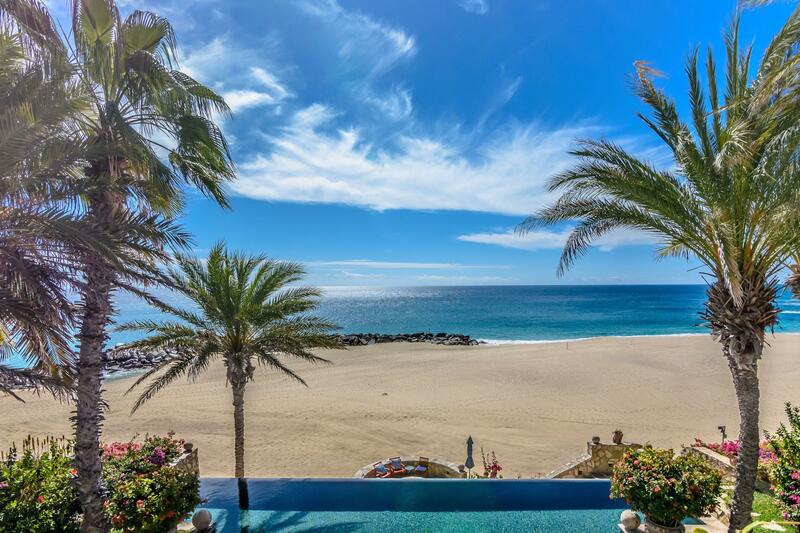 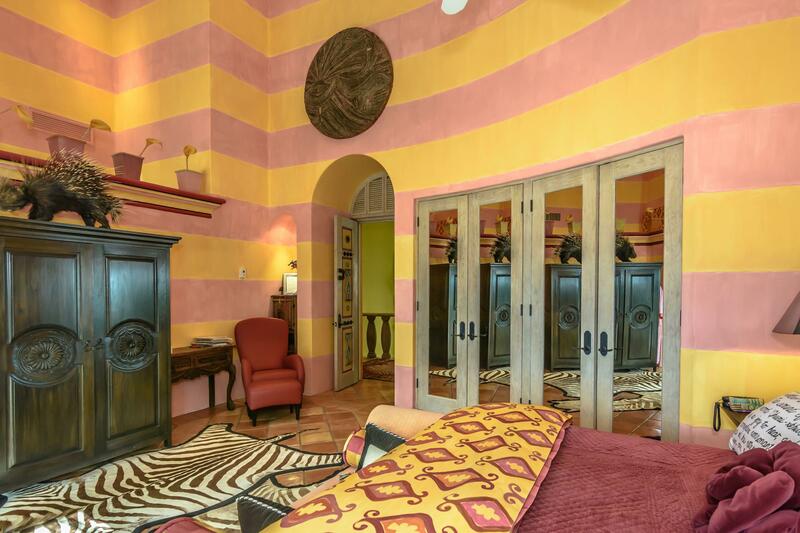 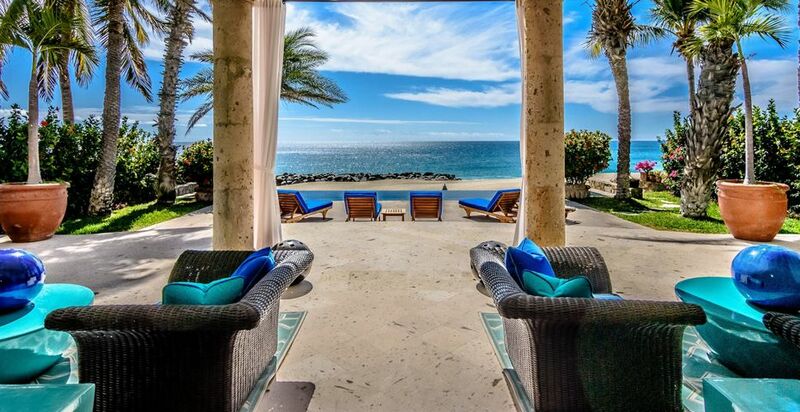 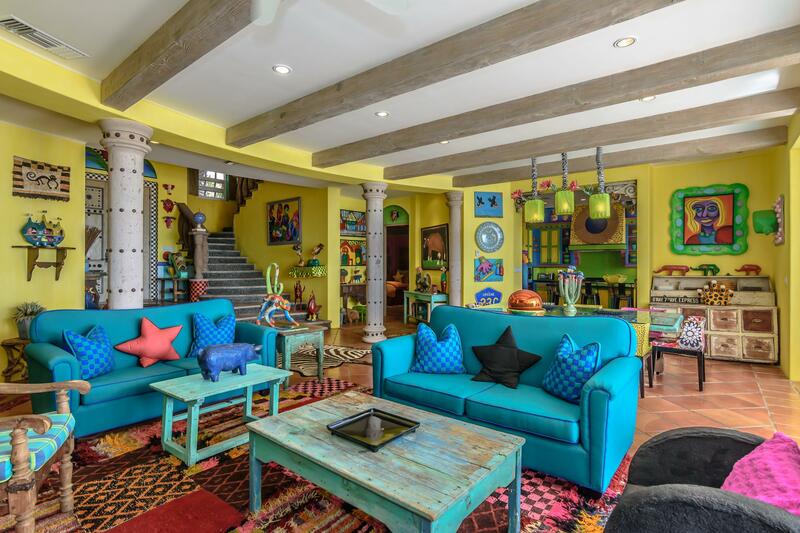 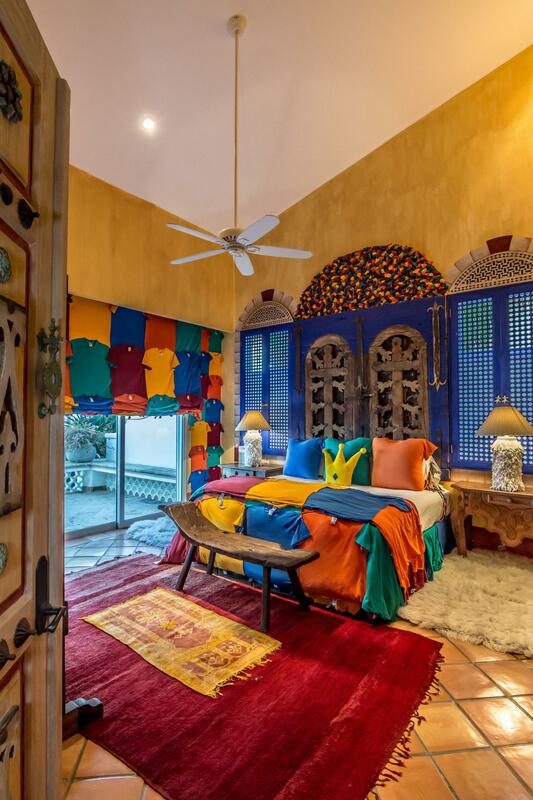 Located in one of Palmilla's most sought after neighborhoods, this rare home lends itself perfectly to the imagination of the most discerning architect, designer or artist. 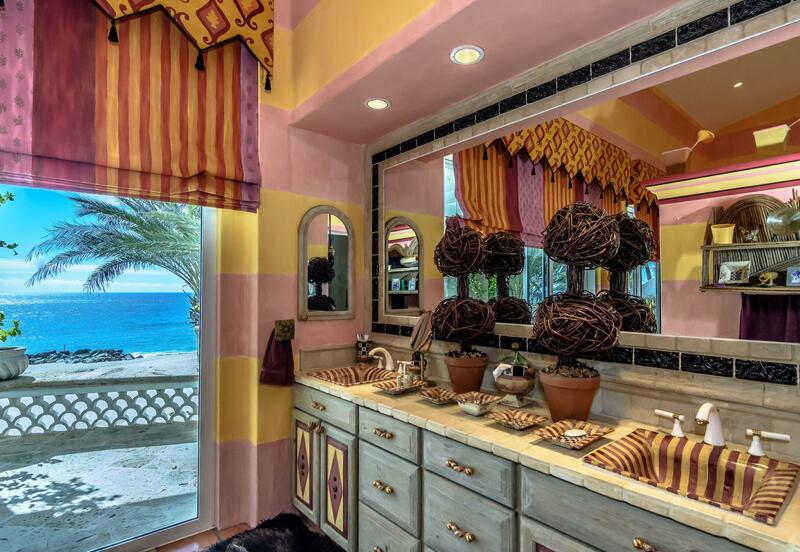 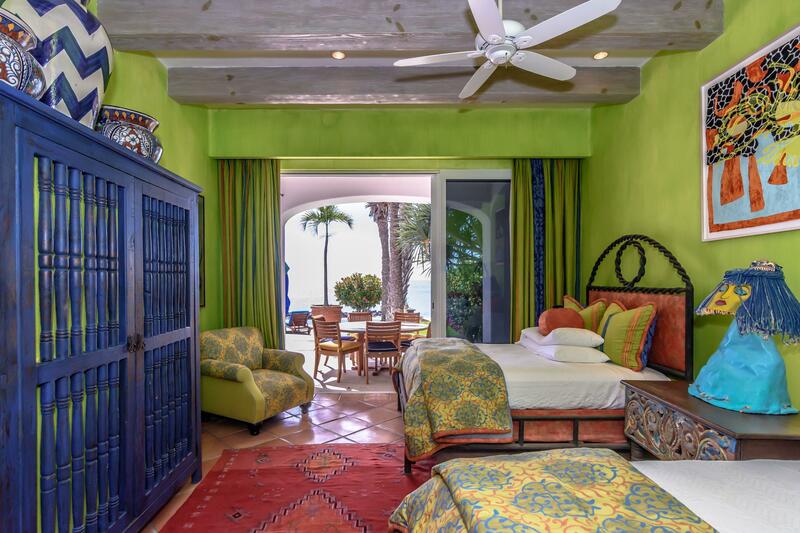 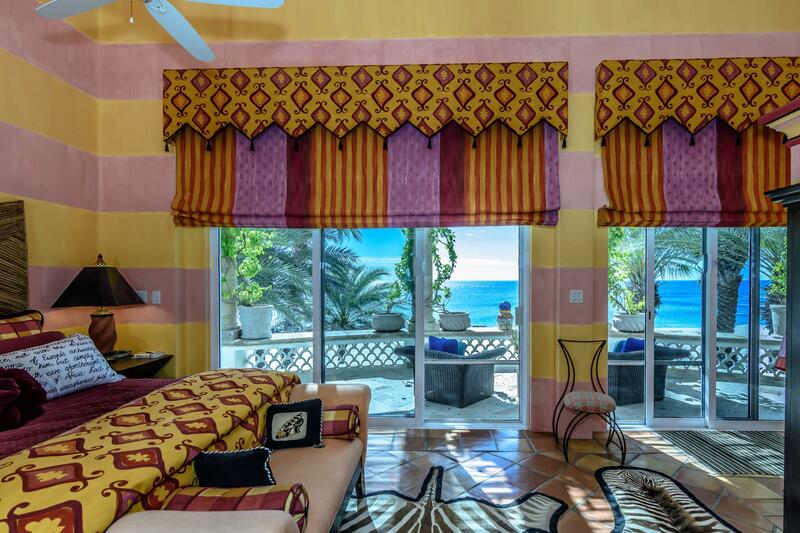 Upon entering, you are greeted with open views of the Sea of Cortez and a bright, colorful interior. 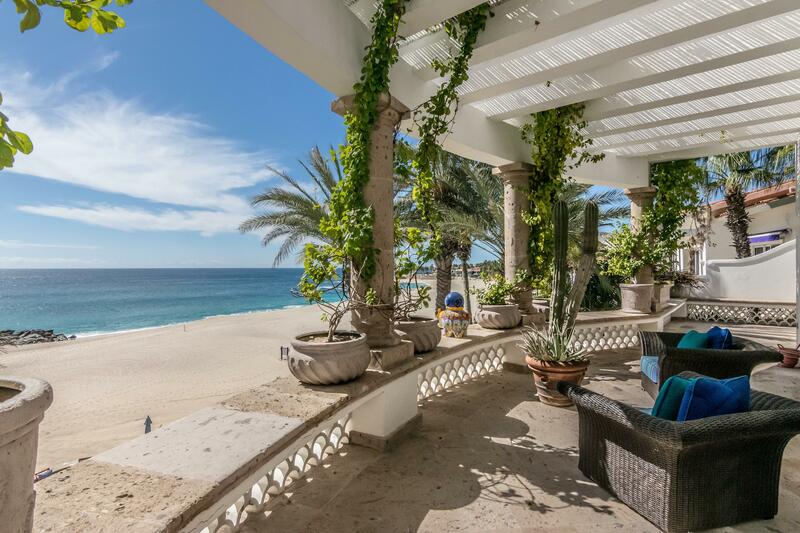 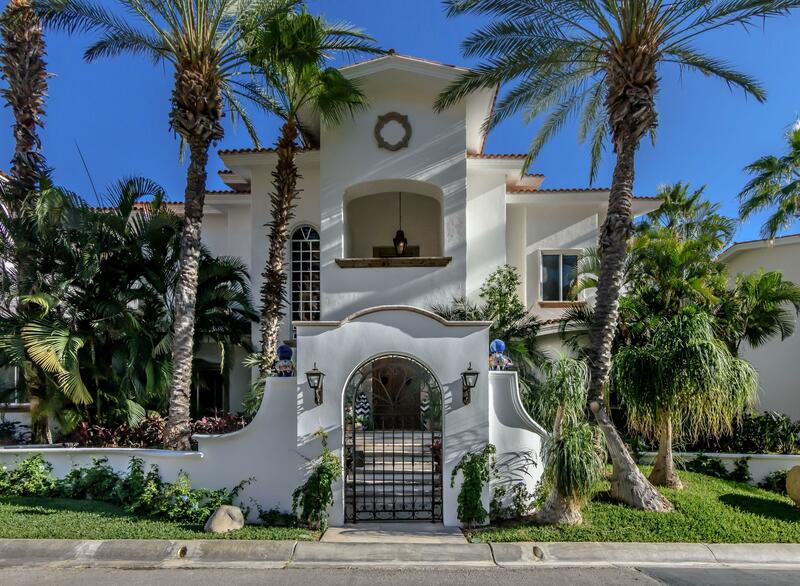 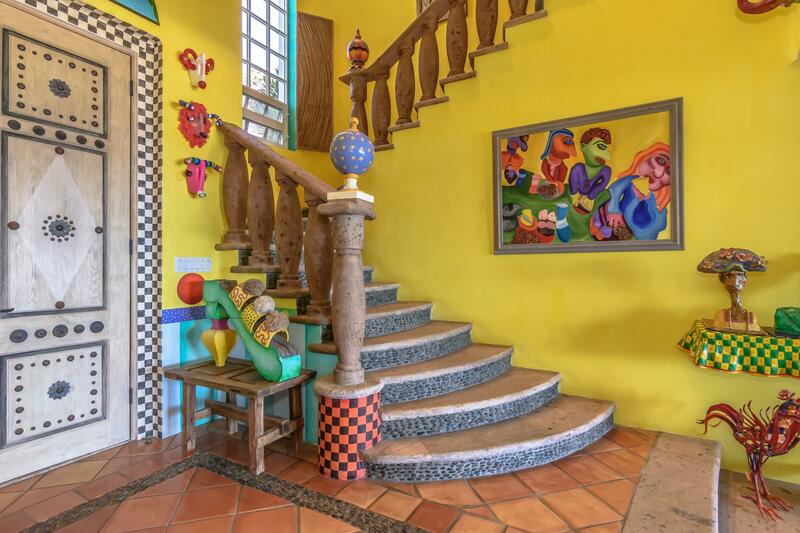 In this two-story , 4 bed/4 bath beachfront traditional Mexican masterpiece, you will find a true indoor/outdoor feel as soon as you walk in. 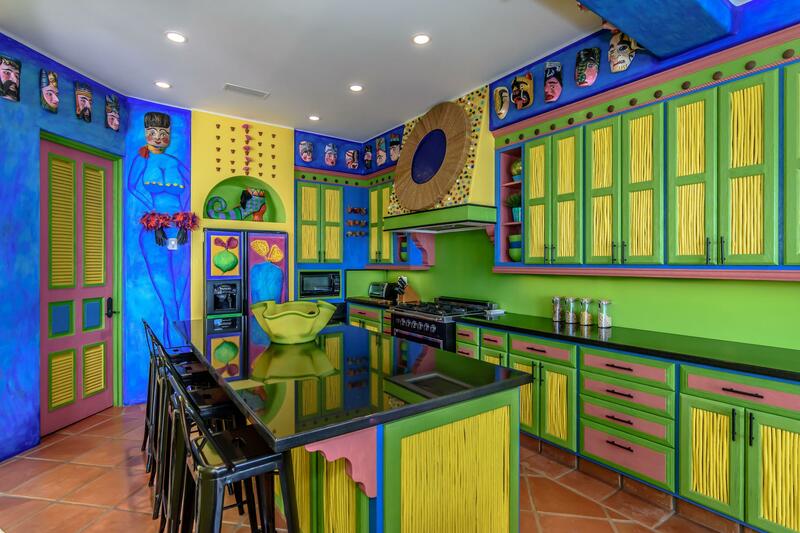 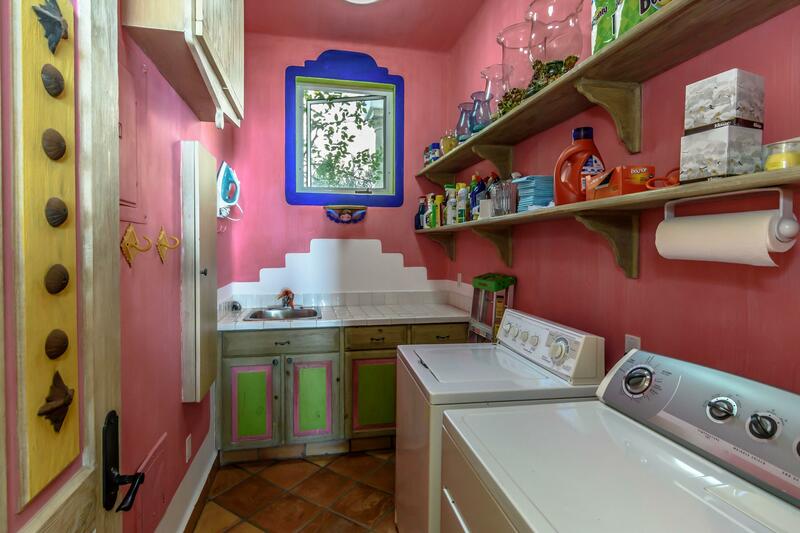 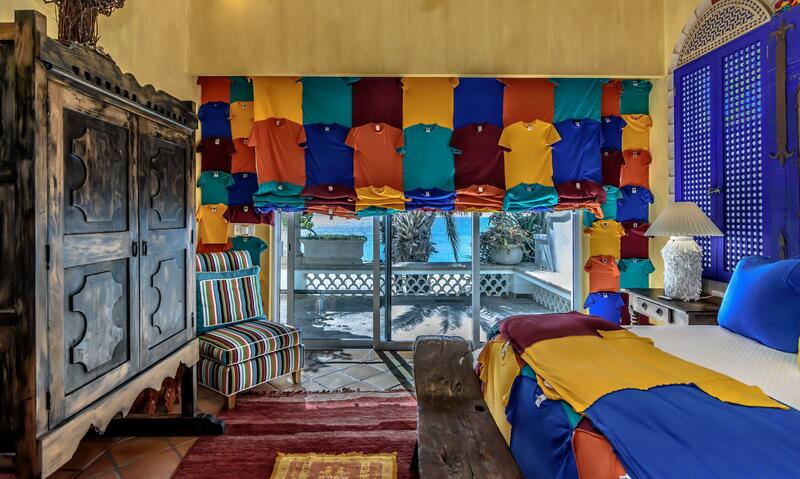 The property also features a separate apt and room located next to the garage that can be used as an artist studio, movie theater or maids quarters. 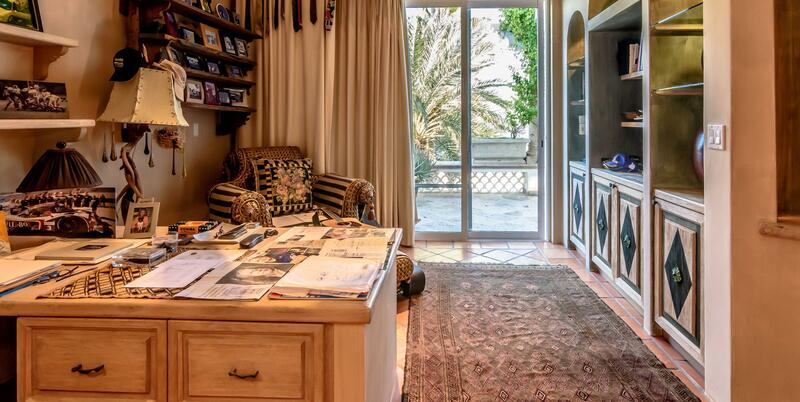 The VDM gym is across the road from this home with hills behind it that offer beautiful hikes. 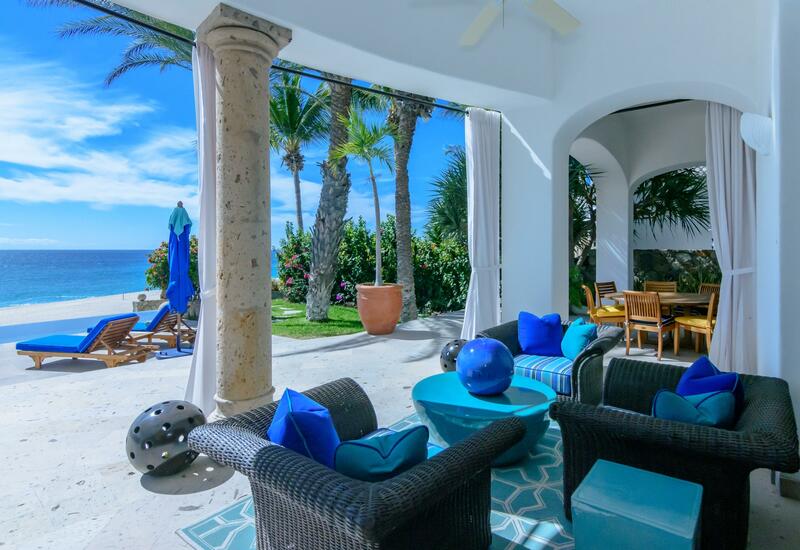 Be a spectator from the patio as mother whales teach breeching techniques to their newborns and watch sea turtles nest/hatch every season.